Wedding in Marrakech in the morning of a beautiful day which started at breakfast on the roof top of one of my favorite Riad: La Sultana– We decided to walk around the Souk for a little while before the getting ready begun in the afternoon. This was a great idea, beautiful way to start a wedding day in Marrakech, thanks to the mother of the bride! Our couple flew from Canada the previous day. First trip in Marrakech for the both of then. 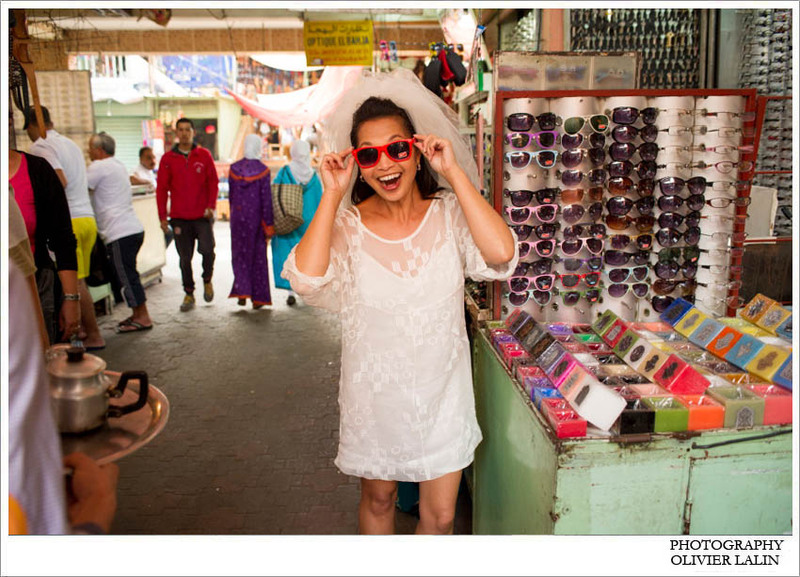 Cynthia, wanted an exotic destination for her wedding away from the Caribbean. They are in love with Paris, have a “pied a terre” in St Germain and thought as Morocco as a perfect destination. Well I photographed them in Paris last year for her anniversary and I think I might have given her a hint when I suggested she goes online and look at ” La Sultana ” where I photographed a wedding before. Marrakech is only three hours away from Paris and it is a little pocket of heaven. Sunshine all year, beautiful luxury Ryads where one gets pampered like a princess. The locals are ever so sweet, and the souk is a gold mine and a mesmerizing experience. In the center of the town, We walked through the ancient Djemma el Fna, the famous, open city square in Marrakech where dancers, fortune tellers, and storytellers put on a lively show at night. There are snake charmers, fire eaters, orange juice sellers, food stalls and the omnipresent touts. This square was once the site of public executions but it now a “must see” experience … specially at night when everyone gather, tourists and Moroccans alike to have a bit to eat outside. 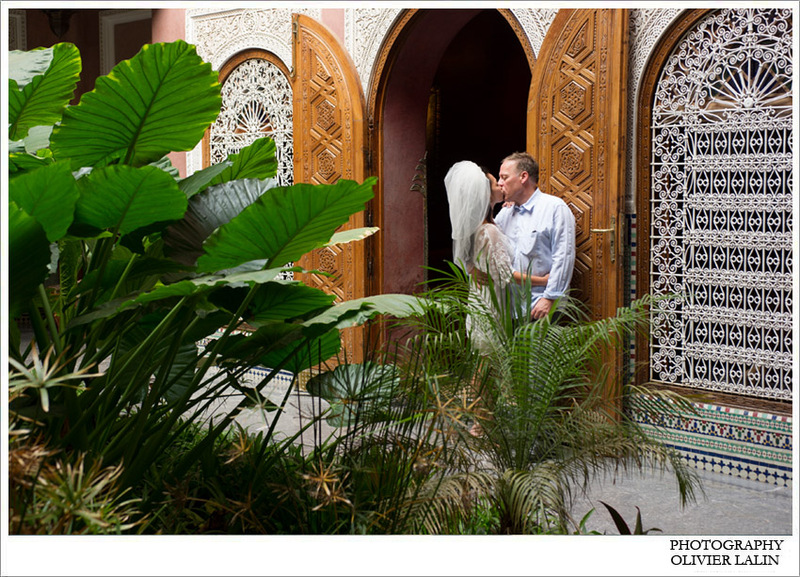 Love Marrakech, it is definitely one of my favorite destination for a great wedding. and if you are staying for over a week, the driving experience to the desert of the cost line to Essaouira is a wonderful experience.